The UK Government’s scheme that ensures the nation has enough power supplies during the winter months has been suspended in a landmark ruling by the European Court of Justice (ECJ). 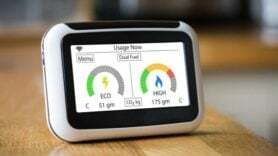 It is in response to a legal challenge brought forward by clean technology company Tempus Energy, which argued the scheme gives an unfair advantage to fossil fuel power generation plants over demand side response (DSR) technologies that are “cheaper and more reliable”. Under the Capacity Market scheme, generators are offered financial incentives for ensuring power plants are kept on standby and are ready to provide emergency back-up electricity when demand is at its peak. Tempus Energy added these contracts could run for 15 years in comparison to one-year contracts offered to demand side response companies that are willing to curb their energy use. The ECJ said the European Commission “should have had doubts in respect of certain aspects” of the planned aid scheme and “should have initiated a formal investigation procedure” in order to better assess its compatibility in 2014 when the UK Government gave formal notification of the initiative. The decision means the government cannot issue payments to energy companies or hold any auctions until it receives clearance to restart – auctions had been planned for early 2019. Tempus Energy believes this ruling should “ultimately force the UK Government to design an energy system” that reduces bill by incentivising and empowering customers to use power cost-effectively while maximising the use of climate-friendly renewables. CEO Sara Bell added: “A customer revolution is on the cards. This ruling opens the door for cheaper energy – greater use of demand side innovation would change the way we use electricity in practice and place customers at the heart of the energy system for the first time. What does this mean for UK capacity providers? You can find out more here. In today’s judgment, the Court notes that, in order to be in a position to carry out a sufficient examination for the purposes of the rules that apply to State aid, the Commission is not obliged to limit its analysis to the information contained in the notification of the measure at issue. It can and where necessary, must seek relevant information so that, when it adopts the contested decision, it has at its disposal assessment factors that can reasonably be considered to be sufficient and clear for the purposes of its assessment. First, the Court points out that the concept of ‘doubts’ as to the compatibility of the notified measure with the internal market is exclusive. Thus, the Commission may not decline to initiate the formal investigation procedure in reliance on other circumstances, such as third-party interests, considerations of economy of procedure or any other ground of administrative or political convenience. Further, when the Commission does not succeed in eliminating all doubt within the meaning of Article 4(4) of Regulation No 6 59/1999, that is to say at the end of a preliminary examination which may, in principle, take two months, it is obliged to initiate the formal investigation procedure. Finally, that concept is an objective one. Whether or not such doubts exist requires an investigation of both the circumstances under which the contested measure was adopted and its content. That investigation must be conducted objectively, comparing the grounds of the decision with the information that could have been available to the Commission when it took a decision on the compatibility of the disputed aid with the internal market. Second, in that context, the Court found the length of the discussions between the UK and the Commission, the scale of the area of investigation covered by the Commission during the preliminary examination and the circumstances surrounding the adoption of the contested decision are indications that may establish that there were doubts. In the present case, the Court holds that the measure notified by the UK is significant, complex and novel, especially as it is the first time the Commission had to assess a capacity market. The amounts involved in the multi-year aid scheme, which has been authorised for 10 years, are particularly high, namely between £0.9 billion and £2.6 billion per year. Those who will be impacted by the effects of that scheme are existing and new generators and DSR operators, those effects being long term and experienced directly as well as indirectly. Third, the Court finds that the Commission failed properly to assess the role of DSR within the capacity market. The Court notes, first of all, that it was for the Commission to satisfy itself that the aid scheme was designed to allow DSR to participate alongside generation, because their respective capacities provide an effective solution to the capacity adequacy problem. In that context, the aid measures should be open and provide adequate incentives to the relevant operators.